Over 70, 000 security operatives, including 15,000 soldiers, 30,000 policemen, 8,000 operatives of the Department of State Security (DSS) and 20,000 civil defence officers have been deployed to Osun State ahead of the governorship election tomorrow. Part of the contingent include the anti-terrorism squad operatives, who have been searching for dangerous weapons, including improvised explosive devices (IEDs). As at Thursday, security agents had been deployed to the 30 local government areas of the state. Confirming the development, the Deputy Commandant General of the NSCDC in charge of Operations, Mr. Evans Chidi, said the move was to ensure security of lives and property during the governorship election. Chidi warned that all persons or groups that had no business with the election should leave the state before 6pm today. He said apart from the 20,000 officers and men of the corps, who would provide effective security, 100 specially trained dogs, 15 of IEDs, would also be used during the poll. He said: “Proper synergy of the NSCDC with other security agencies is to ensure that there is peace in Osun. We are committed to ensuring that the electorate, ad hoc staff and materials of the Independent National Electoral Commission (INEC) are protected and secured. “We would make sure that miscreants and people who have been defined as enemies of this country do not infiltrate into Osun State to truncate the exercise. 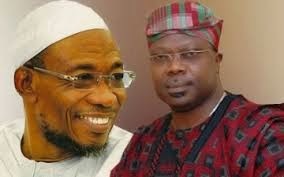 Meanwhile, Osun State Government has declared today public holiday to allow voters living within and outside the state capital, to travel to their various towns ahead of tomorrow’s governorship poll. The state Commissioner for Information and Strategy, Mr. Sunday Akere, in a statement, disclosed that the holiday would enable residents and civil servants, who would be travelling to different parts of the state to perform their civic duties, to do so without hitches. He charged electorate in the state to conduct themselves peacefully while travelling to their destinations and at their various polling units during the poll. The Commissioner counselled members of the public not to be panic due to the presence of security operatives in the state, saying they were in the state to ensure their safety and credibility of the election.